Saanich is a mid-season variety, cropping at a similar time to Tulameen. Fruit appearance is excellent, being long and conical in shape with very fine drupelets. 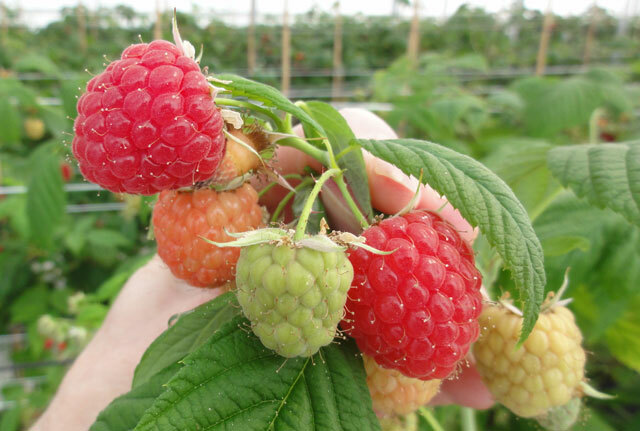 Fruit colour is medium to light red and the fruit is glossy. Flavour is sweet and the fruit has good firmness. 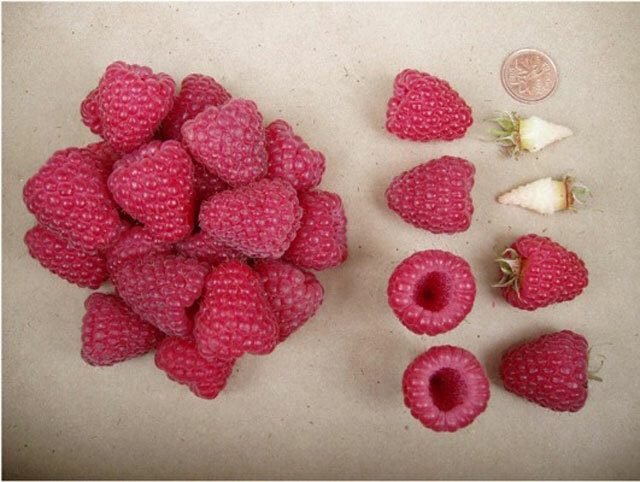 Fruit is medium sized, size is similar to the industry standard Meeker, but smaller than Tulameen. The fruit colour is lighter than that of Meeker and is acceptable for IQF, but not for other types of processing where dark pigment is required. Saanich is well adapted for the processing and fresh markets. 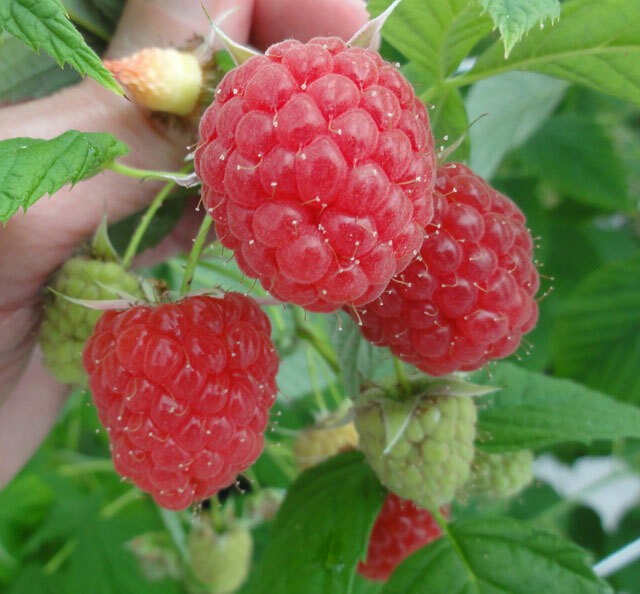 Saanich produces very high fruit yields, significantly higher yields than all other PNW cultivars. Saanich is vigorous, producing canes that have an upright habit and cane diameter similar to other commercial cultivars. Spines are light grey in colour on the lower 40 cm of the cane, but very sparse up the cane. Saanich plants break bud earlier than all other Pacific Northwest (PNW) grown cultivars. Bud break is very good and even, and flowering begins at the same time as it does for Cowichan and Chemainus, and later than Tulameen. Saanich has excellent winter tolerance in the PNW, being similar to Qualicum, known for its winter hardiness. Saanich was selected for resistance to the gene Ag1 to the common biotype of Amphorophora agathonica, the American aphid vector of the RMV complex. Trials suggest Saanich is moderately tolerant of RBDV. Saanich may exhibit some degree of field resistance to root rot caused by Phytophthora fragariae. . Saanich has been rated as less susceptible to spur blight (Didymella applanata) than Meeker, and moderately susceptible to cane Botrytis (B. cinerea) and to anthracnose (Elsinoe veneta).